With the SC connected through the LOOP CABLE as seen in the CABLES folder; some audio cards had problems with RMAA and SW Loop Cable: in this case just use a standard audio cable to connect Line In to Line Out. Here we have three different volumes (15k, 20k e 24k) all at 16 bit and 44k Hz. Frequency response has to be as close to 0 as possible: in this case we can notice how different volumes don't change the results. Noise level estimates a noise level in silence in the test chain. SNR is usually measured in dB FS A, which means sound level relative to the full-scale signal and is weighted with a special aural perception A-curve. Professional usage requires SNR more than –96 dB A, and in this case we see that the 15k set is the better one. Dynamic range test estimates a noise level with a weak signal applied, and linearity of a sound device operating at low signal levels (which is very important for high-quality sound recording and playback): The higher the better. The 15k set wins again. 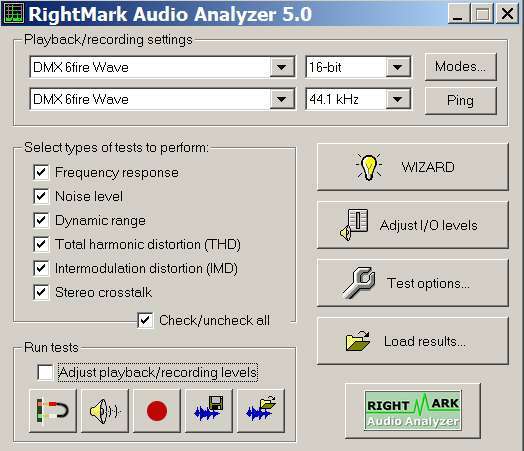 THD defines a level of unwanted harmonics generated in a sound device. Usually high-quality devices have a low THD value (lower than 0.002%), but there are exceptions. Many tube devices have a quite high THD level, which makes their sound "warm". But transistor devices must have a low THD value because their (odd) harmonics don’t make sound pleasant. 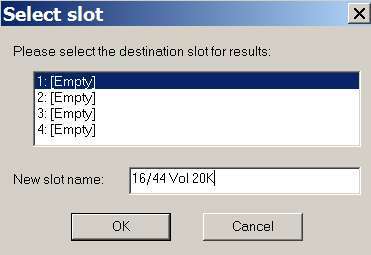 No big differences between the volume settings. Intermodulation estimates amount of intermodulation distortions that occur when a complex signal passes through a test chain. The test signal consists of 2 harmonics of different frequencies. After passing through the test-chain, the resulting signal contains different harmonics and, possibly, a large number of harmonics resulting from D/A and A/D conversion oversampling filters and sample rate conversion inaccuracy. The lower the better, and our results are equals. Stereo crosstalk estimates leakage of a signal from one channel to another for various frequencies. If a sound device has poor crosstalk results, you can’t get a good stereo image from your sound recording. The higher the value the better, and the 15k set wins. 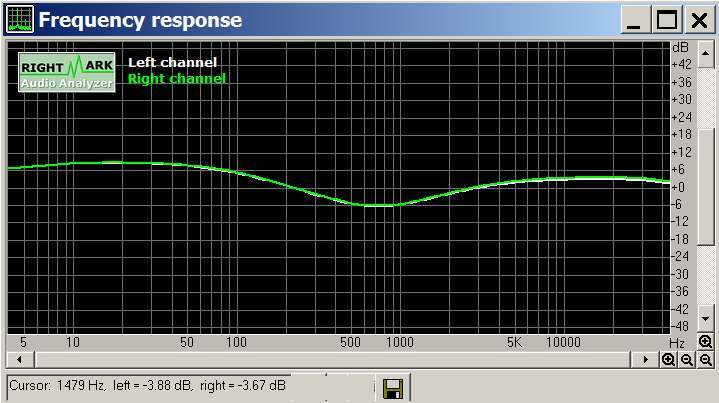 We see three different S/R (44k, 48k e 96k Hz) with the same volume (15k): the winner is the 96k Hz that will be used with Speaker Workshop. Below I show some charts that show the frequency response we measured, but it's not a flat line as it should be: the tone control weren't in the flat position! Check it out, cause all the measurement will be invalided if this happens. 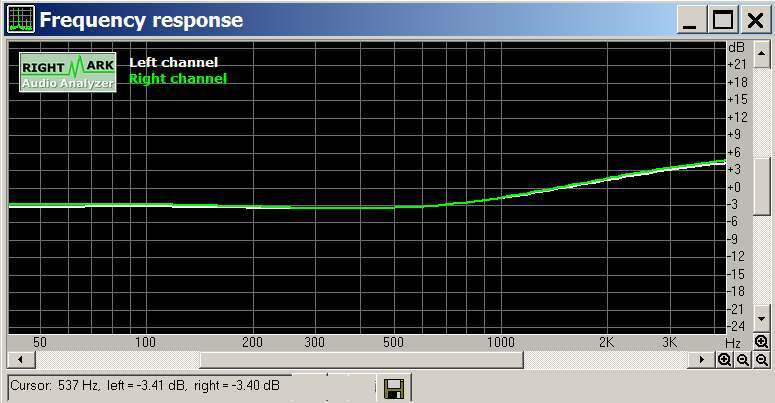 So using RMAA we have understood which is the best sample rate and volume setting for our sound card, and how linear its frequency response is (that is very important to obtain right measurements). Now it's time for the calibration!